We all know that weight loss and maintenance depends on calories in versus calories out. But many other factors play into how calorie counts affect our weight. Here are five things you might not know about calories. 1) The FDA permits the calorie counts on nutrition labels to be inaccurate by up to 20 percent. This is huge. The US Food and Drug Administration has a rule that nutrition facts on packaged foods can be up to 20 percent off. So, for example, a protein bar that says it has 250 calories could have up to 300 calories. The only way to be totally sure about the number of calories you're eating is to make all your meals and snacks from scratch, but that's not realistic for most people. The second best thing you can do is trust your instincts and be smart about what you eat. If the nutrition information on a packaged food seems too good to be true, it might be. If you're suspicious, weigh out a portion of a multi-serving snack to see if the portion matches the serving size listed on the label. Inspired to make your own snacks? They don't have to be complicated. Some healthy snack recipes have three ingredients or less. 2) Foods labeled as "zero-calorie" can legally contain up to 4 calories per serving. We've already learned that you can't always trust what you see on nutrition labels, and this is another example. According to the FDA, a nutritional panel is allowed to claim a product has zero calories if it has less than 5 calories per serving. For example, if a sweetener packet claims to have zero calories, it might actually have 4 calories. 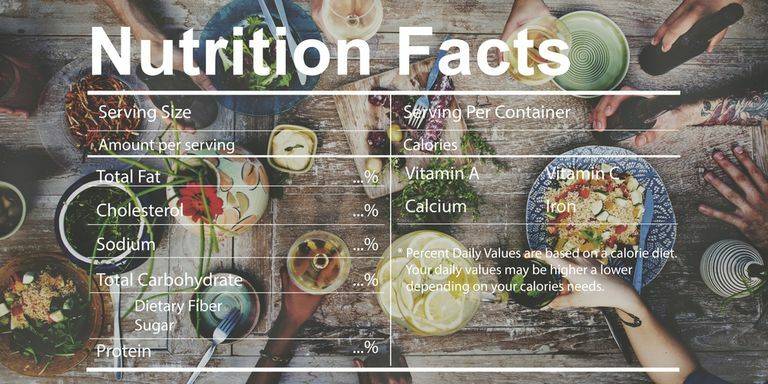 In itself, that's not a big deal, but the stats can really add up, especially if the listed serving size is unrealistically small or if you consume a lot of a certain product. When you're using sweetener, nonstick cooking spray, no-calorie butter spray, or other products that claim to have zero calories, be cognizant of how much you're using, and consider counting a few calories per serving. 3) You burn calories doing nothing. Exercise isn't the only way we burn calories. Even when we're sitting at our desks or lying on the couch watching television, we're burning calories. That's because the body uses energy to perform everyday functions, like breathing and digesting food. The number of calories you burn while doing nothing is called your resting calorie rate, or basal metabolic rate—you can use a calculator to estimate yours. Good to know! 4) If you reduce your calorie intake by too much, you could stop losing weight. Yes, cutting your calorie intake and burning more calories will help you lose weight. But it's super important that you don't drop the number too quickly and that you don't ever take in too few calories. When you reduce your calorie intake by too much, your body can enter “starvation mode,” which means your metabolism slows way down because your body is storing fat to conserve energy. That can put the brakes on your weight loss and may have long-term health effects. Everyone's threshold is a little different, but most experts agree that eating less than 1,200 calories per day is a bad idea. So make sure you're not eating too many calories and that you're not eating too few. 5) The calorie-burn counts on gym machines are usually off by as much as twenty percent. While there's nothing wrong with using exercise machines, don't rely too closely on the numbers they spit out. And never use exercising as an excuse to pig out for the rest of the day!